We are seeking Research Assistants for summer 2016. 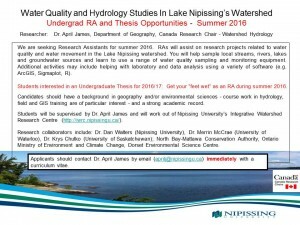 RAs will assist on research projects related to water quality and water movement in the Lake Nipissing watershed. 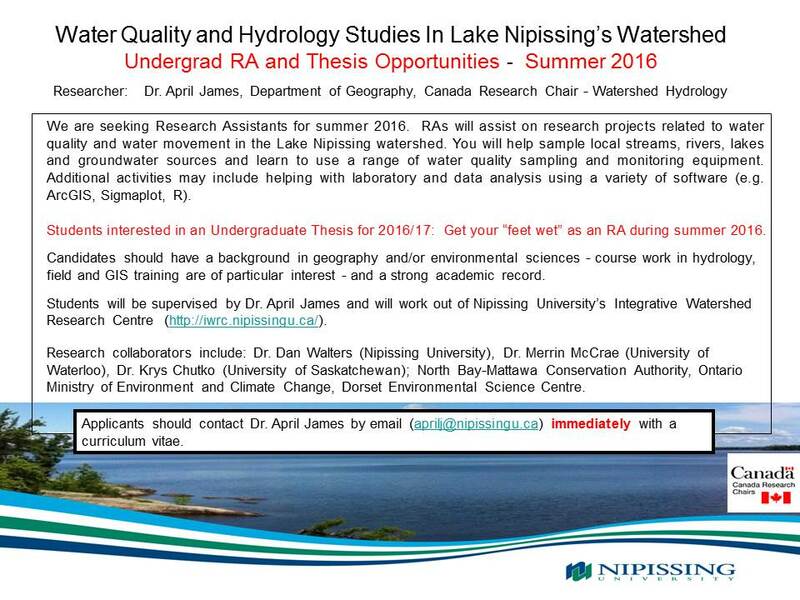 Students interested in an Undergraduate Thesis for 2016/17: Get your “feet wet” as an RA during summer 2016. For more information see attached link and/or contact Dr. April James (aprilj@nipissingu.ca).